Research published in the Medical Journal of Australia investigated the links between common indoor exposures and asthma in children. "We found that 12 per cent of childhood asthma is attributable to exposure to gas stoves used for cooking, and eight per cent is linked to household dampness," said Dr Luke Knibbs from the Centre for Air Pollution, Energy and Health Research and University of Queensland's School of Public Health. Dr Knibbs says cooking with gas releases chemicals such as nitrogen dioxide and formaldehyde, which causes inflammation in the airways and exacerbates asthma. 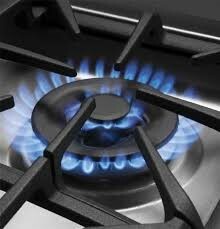 "With 38 per cent of Australian homes using natural gas for stovetop cooking, this is a common problem," he said. Living in a damp home is also quite common in Australia and can also adversely affect children's lungs, Dr Knibbs warned. The study identified the presence of dampness in 26 per cent of Australian homes. With childhood asthma rates in Australia among the highest in the world, the researchers have called for greater awareness of these household hazards. "Most parents of children with asthma are aware of ways to minimise exposure to dust mites, pollen and animal hair through vacuuming and replacing carpets with hard flooring, but other indoor exposures are not as well recognised," Dr Knibbs said. "A coordinated national strategy is needed to increase awareness of indoor environmental exposures, such as gas stove emissions and dampness, and the different ways people can reduce exposure in the home. Dr Knibbs says cooking with gas releases chemicals such as nitrogen dioxide and formaldehyde. Source: AAP/Stock. According to the Growing Up in Australia longitudinal study, within the first three years of life 16.9 per cent of infants experience asthma or wheeze. Among non-asthmatic children aged four to five years, 4.1 per cent will develop asthma by the age of seven. To reduce the effects of gas on young lungs, parents are advised to use high-efficiency range hoods. "The preferred option is to make sure the range hood is vented outdoors, rather than a hood that recirculates the air," Dr Knibbs said. "Simple ways to reduce dampness include better ventilating houses with fresh air (using open windows when conditions allow), using room dehumidifiers and limiting use of clothes dryers indoors." Other studies suggest that higher performance air purifiers can also help remove toxins, gases and other contaminants.